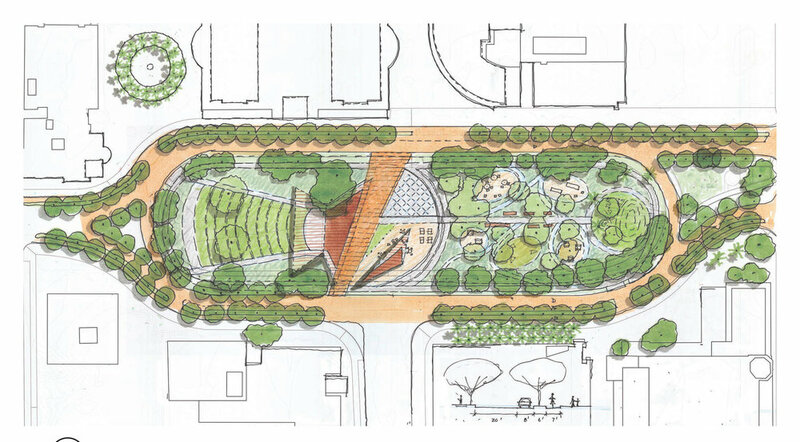 Reed Gilliland in partnership with a team from SWA SF have been working with the City of San Jose to re-envision the historic park/plaza at the heart of downtown San Jose. The plaza has been in place since 1797. It was renovated by Hargeaves Associates during the 1990's, but with a design that probably facilitated the reinvigorating of the downtown, but which didn't envision, and wasn't designed for, the heavy year round use that the park is getting, especially for special events. We are also looking at modifying the way that vehicular circulation which affects pedestrian-unfriendly look and feel of the entire downtown, and cuts the park off from its surroundings.